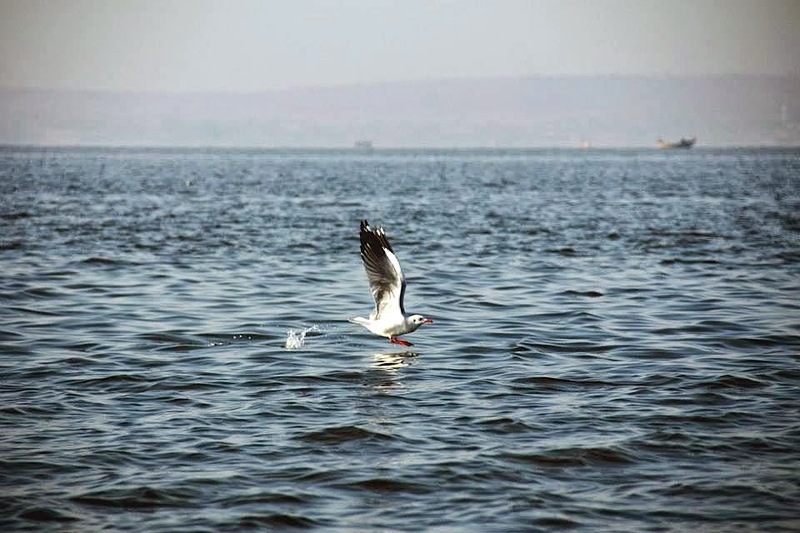 Ticking the Bucketlist » Bhigwan: Shooting Birds! 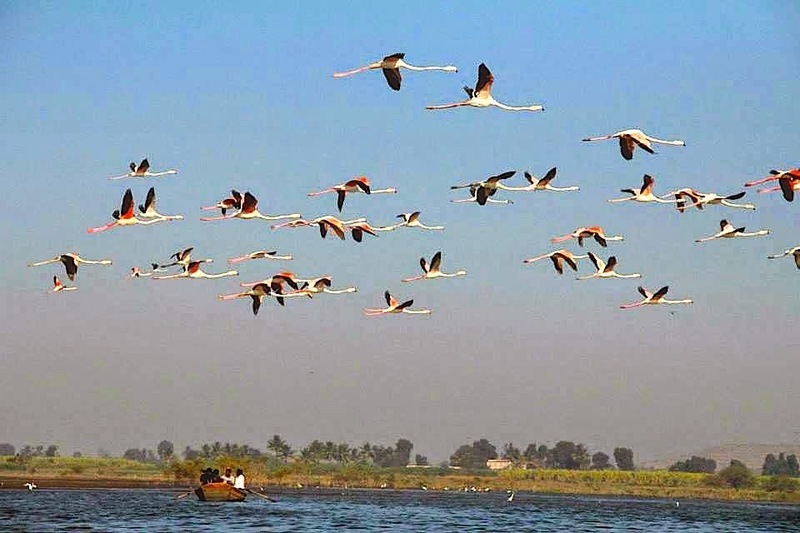 250 kilometers away from Mumbai is the little village of Bhigwan, which plays host to hundreds and thousands of flamingos every winter, from the months of December to March. I have not read about it in any guide book or travel magazine and it stays under the wraps, unexplored by the maddening tourist crowds. Maybe that is the reason why the flamingos fly there… they still have their space, relatively undisturbed by mankind. This was supposed to be another father-daughter trip. Ankur was not too keen to join us as we were scheduled to leave at 5 am. Ankur loved his morning slumber more than wanderlust! Seriously? I guess, at the eleventh hour, wanderlust took over….and he hopped into the car along with Dad and me… Vvvrrrrooooommmm… we were off to see the blushing flamingos at Bhigwan! From Mumbai, take the highway to Pune and then the exit to Solapur. Bhigwan is almost halfway between Pune and Solapur. After Kedgoan, there will be plenty of signs on the highway to let you know that Bhigwan is around the corner. Google Maps does a brilliant job with the directions! 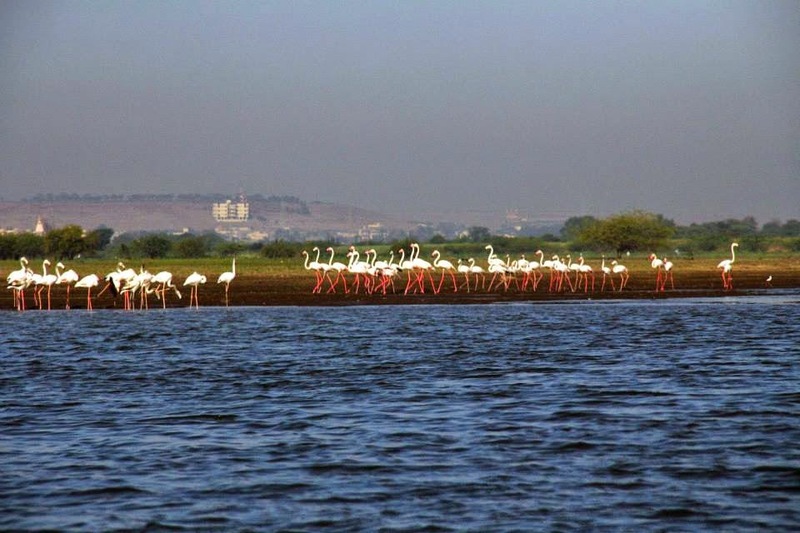 After you get to Bhigwan, just ask any local for the lake (Lake Dhiksal) where you can spot the birds… or the flamingos. Yes! The villagers do know that the pink beauties are called flamingos! Once you are at the lake, you will be able to spot the flamingos at a distance of approximately 300-500 meters. You may be approached by some local youngsters or local fisherman asking you whether you want to get closer to the birds in a boat. The boat is the only way to see the flamingos at close quarters – you cannot approach the area by food or by road. Suggest that you opt for this mode of transport if you want the trip to be worthwhile. We piled into a fishing boat with a local fisherman who agreed to row us to opposite side of the lake where the flamingos were strutting as though ‘cat walking’ for a fashion parade! The hand rowed boat ride lasted for almost an hour or so. To our surprise, the fisherman was pretty knowledgeable about the birds in area… the stilts, herons, flamingos, sea gulls…Very impressive! If I would have been a bird, I would have been a rolly polly kiwi and the slender flamingo would have been my inspiration to diet and reduce my weight! The word “flamingo” comes from the Spanish and Latin word “flamenco” which means fire, and refers to the bright color of the birds’ feathers. Flamingos are monogamous birds that lay only a single egg each year. If that egg is lost or damaged, they do not typically lay a replacement. A flamingo’s eye is larger than its brain! Flamingos are not born pink – they are born grey. Shrimplike crustaceans are responsible for the flamingo’s pink color. The birds pale in captivity unless their diet is supplemented. Flamingos can fly, but they need to run a few paces before taking off. Flamingos: Marching in a flock… getting ready to take off ! As the fisherman rowed the boat over the still waters of the lake, we enjoyed basking in the morning Sun. It took us a while to get accustomed to the bright light….a little bit of squinting, a little bit of winking and a little bit of blinking ….we were soon able to enjoy the sunshine being reflected over the blue waters of the lake. There were plenty of sea gulls circling over our head – it was breakfast time. Everyone likes to have a good Sunday brunch! 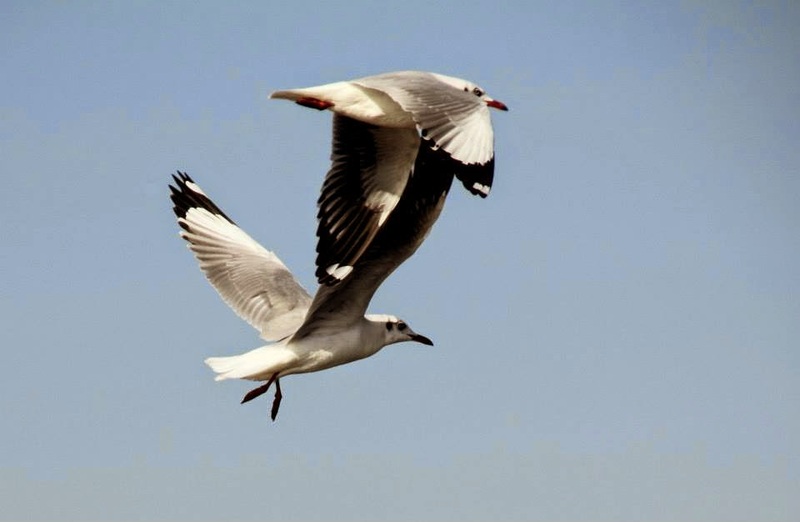 Bhigwan: Sea gulls – two to tango! And then, there were stilts that went ‘caw caw’ all over the place and circled our boat. I think that was my favourite moment during the entire trip….feeling like a celebrity with the paparazzis all around! 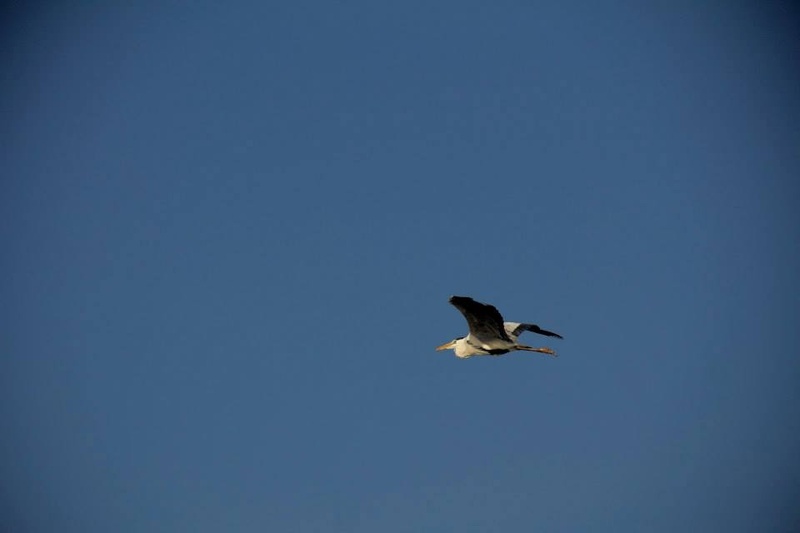 I went click click with my camera on seeing the first egret and heron – the flamingos were still too far to click! Soon, we were close to the flamingos. The fisherman stopped the boat about 50 meters form the birds to ensure that we do not disturb them. There were two flocks at a distance of about 100 meters from each other. The birds were busy wading through the still water. It was a delight to see two birds close to each other, their slender neck making the ‘heart shape’! We waited there…observing the birds, listening to the sounds of nature. No city noises, no cell phone reception, no glowing screens – bliss! After a few minutes, one flock of flamingos started ambling together; their pace quickened….and with a few large strides, they were airborne! What a sight! The birds flaunted their bright red feathers on the inside of their wings and flew graciously overhead. Soon, the entire flock was overheard! Wow! No wonder people travel distances to see them! One large round overhead, and they settled at a new spot….and we waited for another performance. Few minutes later, we were graced by another take off and colourful display! Few hours in the boat, loads of birding and we came back home…our spirits flying high! 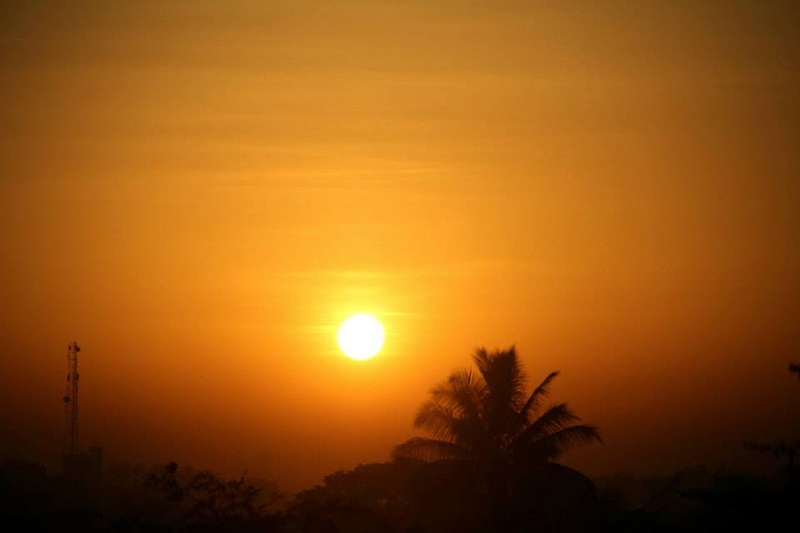 If you are leaving from Mumbai, ensure that you leave early – by 5 am. Alternately, you can spend break the journey in Pune (where you can spend the night) and then take the Pune-Solapur highway at about 6 am. Keep you cell phones on the silent mode and do not talk loudly when you at the lake. It bothers and disturbs the birds. It’s their space – respect it please. 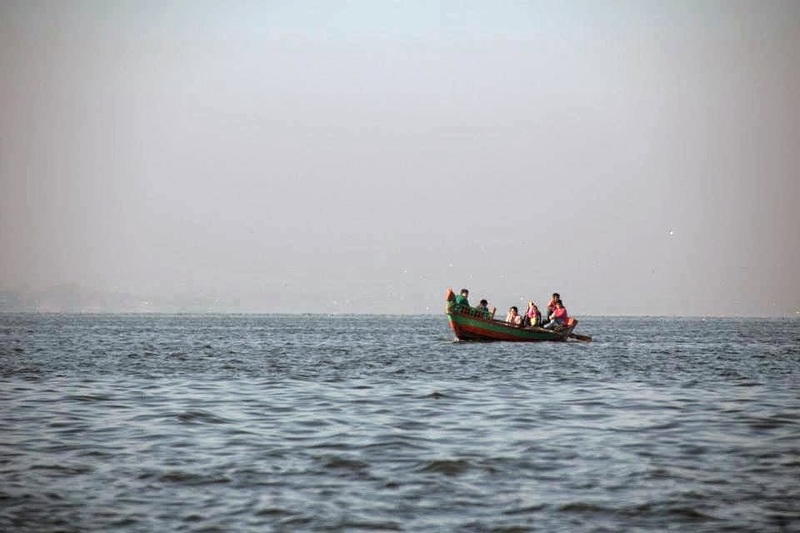 Hiring the boat for 3 – 4 hours typically costs INR 1000 – 1200. The boat can take 4 – 5 people. There is plenty of parking space by the lakeside. If you choose to hire a fishing boat, the fisherman will show you a good parking spot as well. A good pair of binoculars is a must have. Recommend that you have at least a 250mm lens for your DSLR. I had an 18-135mm and the zoom was not enough. I do not have any good pictures. I will have to revisit to next year to take better shots. The best way to get to Bhigwan is to have your own wheels. If you don’t have a car, recommend renting one from either Pune or Solapur for the entire day. As always, send me an e-mail if you need any further details. Glad to help. Marrakech: Travelling back in time.. This is really beautiful, I wish Bhigwan was near to Hyderabad. It'll be a long drive for me though. Let's see when can I plan something, since this is a very seasonal affair. My calendar is all packed with bird outings untill January 2015. Next week I'm going to Bharatpur, then in Dec going to Manglajodi Orissa, then in Jan going to Nawabgunj Bird Sanctuary in Lucknow. Hope to add a lot more to my list of 200. Wow…thats a busy schedule! The best time to see the flamingos is Feb…will ask the birds to block your calendar! 🙂 For Birds, I somehow can make time in my Calendar. Feb is it, I thought it to be more of Dec Jan. Flamingos can be seen here in Hyderabad as well, however I really miss the Bar Headed geese, any idea where we can spot them? Let me check with a couple of avid birders that I know of for the geese. Let me also check on any widget that Blogger offers so that you can follow a post and get an alert each time a comment is posted. I did a bit of research and came to know about Maglajodi, Orissa and Nawabgunj Bird Sanctuary in Lucknow which host the Bar Headed Geese in winters. I planned my trip accordingly during that time, lets see if I'm lucky. Whats a good time for Lucknow? We are there in Dec! Lucknow (Nawabgunj Bird Sanctuary) looks good on paper, however reality is quite different. Lucknow is my home town hence I am taking a chance this time to visit for the birds. If it was not my home town I wouldn't have planned this visit. My parents said that these days Bird Migration has decreased a lot since last few years. I will still go any way, so including birding. I would suggest unless you have some work there, plan for some other place for birding. Dec-Jan is goor for birding in Nawabgunj otherwise. Have a trip planned to Lucknow on work in the last week of December. We can give birding a shot there! Also looking forward to some historical monuments and good food…hopefully the vegetarian food will be good too! Still, you should try Lassi and Kulfi (Falude-dar) in Chowk area of Lucknow. Chowk also has the historical monuments. Don't miss the Chota Imambara and Bada Imambara and of course the all famous Bhul-Bhulaiya. Also see the Residency. 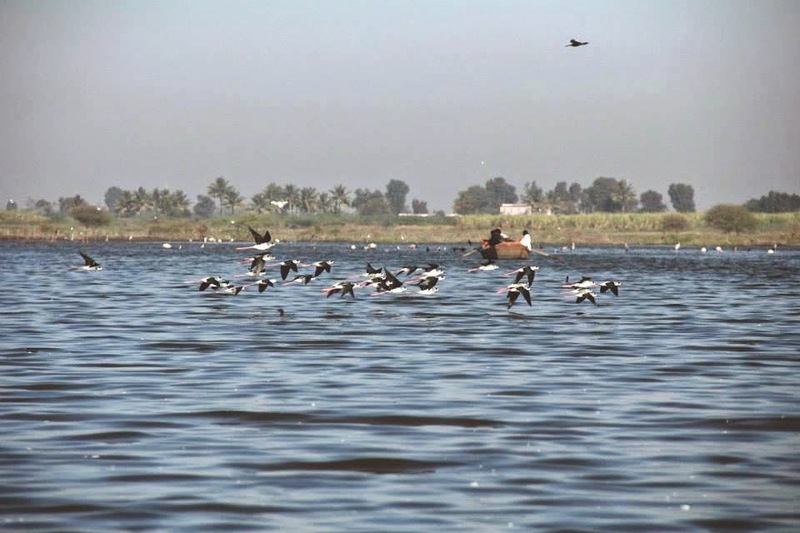 For Birding, don't miss Nawabgunj Bird Sanctuary around 40 km from Lucknow. Good that you are visiting in Dec, now I can get a heads-up for my trip in the second week of Jan.